Though it has garnered headlines in the U.S. over the past few years, the notion of gay conversion therapy is not a new one. The question regarding the possibility of changing an individual’s sexual identity and/or orientation continues to be debated in 21st Century America. 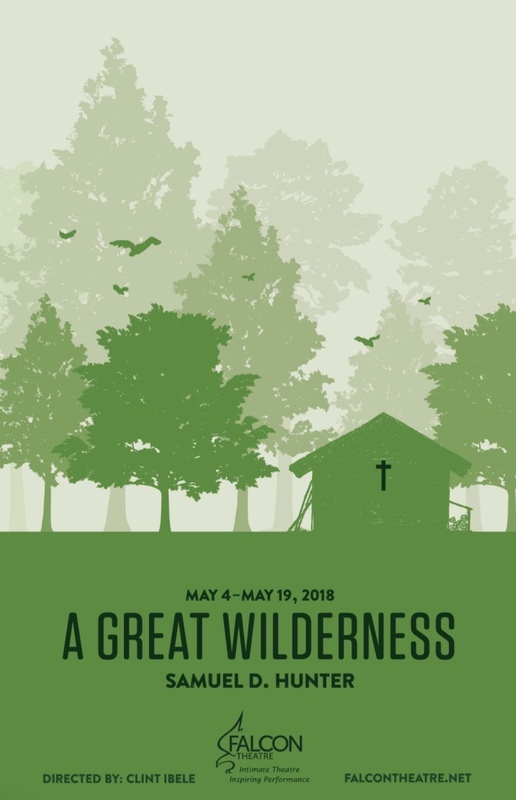 And it is this question that strikes at the heart of Falcon Theatre’s fifth and final production of the 2017-18 season, Samuel D. Hunter’s A Great Wilderness. It was during the mid-1930s that Sigmund Freud regarded homosexuality as a normal and natural part of the human experience. But in the 1960s, “aversion therapies” became prominent in the country’s psychological and psychiatric landscape. As of 2010, the idea of conversion therapies has been almost universally shunned in virtually all psychiatric circles. In fact, eight states and a number of counties and cities have banned the practice. The story of A Great Wilderness revolves around Walt, a man who has spent the entirety of his adult life counseling teenage boys out of their homosexuality at his Idaho wilderness camp. Almost on the eve of his retirement, Walt is persuaded to take on a final client named Daniel. During Daniel’s time at the camp, Walt is forced to face a collision between his past and his present. Has his life’s work been a noble, worthwhile, and attainable cause or a thirty-five-year exercise in self-loathing and self-denial? Falcon’s production of A Great Wilderness is directed by Clint Ibele and features Allen R. Middleton as Walt. The cast also includes Caleb Farley, Arlene Borock-Balczo, Kelly Hale, Holly Sauerbrunn, and Cat Cook. Performances are at 8 PM on May 4, 5, 10, 11, 12, 17, 18, and 19. Ticket prices are $22 for adult tickets and $15 for students with ID. Patrons enjoy a $5 discount for Thursday performances. Visit falcontheater.net to reserve seats.